100% of all donations go directly toward educating kids in Nepal! PiSL is a 501 (c) 3 nonprofit organization. If you would like to make a donation, any amount is very appreciated. Your funds will go toward whatever the need is the greatest. All preschools need books, lots of them! Imagine a preschool classrooms with no books. Help us introduce the wonderful world of books to young children in rural Nepal. It has been difficult to find books that are age appropriate and written in Nepali (teacher do not read or speak English). But, we have gotten creative and found books that will work well with the children of Nepal. You can help us purchase books so we can bring books to a faraway place. The early childhood teachers in Nepal have finally gotten a raise! The government is now paying them $720 a year rather than $456! We are committed to matching that salary for the 12 teachers that we sponsor. Help us provide these teachers a salary they deserve by making a monthly donation or a one-time gift to cover the annual salary. You can choose which teacher you would like to sponsor. Your donation will make a huge difference in the life of a young woman. You can help us keep the 42 existing Early Childhood Centers functioning at a high level. We have made minor repairs on the classrooms as needed. The walls in most of the classrooms have been painted and several have had colorful murals painted by VIN volunteers. New rugs have been provided to some classrooms. Updated instructional materials continue to be needed ad older materials need to be replaced. And lastly, teachers require on-going training and coaching to stay effective and successful. 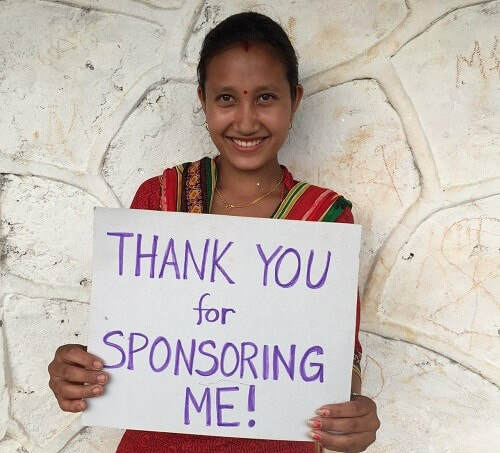 Can you help us make learning in rural Nepal as successful as possible? If you would like to donate by check or talk to Diann about opportunities to speak at a club or school, please click here. Thank you for being a PiSL supporter!